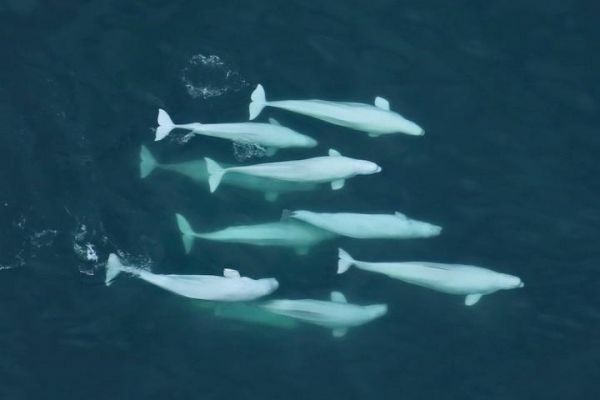 It might seem like a “whale of tale,” but groundbreaking research from Florida Atlantic University’s Harbor Branch Oceanographic Institute is the first to demonstrate that just like human societies, beluga whales appear to value culture as well as their ancestral roots and family ties. Through a detailed genetic study of kinship published in PLOS One , an international team of collaborators has demonstrated that related whales returned to the same locations year after year, and even generation after generation. This inter-generational inheritance of where to go and when probably involves some form of social learning from members of the same species, most likely from mother to calf. The study firmly establishes philopatry to summering ground and most likely entire migratory circuits as a characteristic behavior in beluga whales.